I must confess: I write this from the smug vantage point of a person who slept seven and a half hours last night. It was glorious, and I invite all of you to get on my level already. (It’s great — Arianna Huffington’s here!) Because the effects of long-term sleep deprivation are serious business, as the guys from AsapSCIENCE describe in terrifying detail in their latest video, which has already racked up more than 1.1 million page views since being published Sunday night. Sleep-deprived people don’t know they’re sleep-deprived. You may have heard by now of “short-sleepers,” those genetic mutants who require just a few short hours of sleep each night to thrive. Most of us do not belong to this exclusive club, as experts suggest that just one to three percent of the population can function this way. The trouble is that it might be very, very easy to think you’re among these lucky few. After a long period of sleep deprivation, you stop realizing how tired you are. Sleepy people act as dumb as drunk people. In one study, researchers split a group of people up into three groups; for 14 days, one group slept for eight hours a night, the second group slept for six hours a night, and the third group slept just four hours a night. Cognitive tests after the two-week period showed that the people who’d gotten six hours of sleep a night showed similar reaction time as people whose blood alcohol content was at 0.1 percent — in other words, legally drunk people. Lack of sleep may cause permanent damage to your brain. After just a night or two of little sleep, your body and brain can bounce back with just a few nights of adequate sleep. 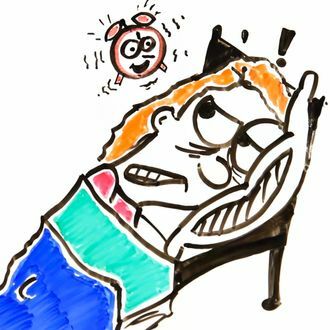 But chronic sleep deprivation may be harder to recover from and may result in permanent loss of brain cells — at least, according to one study done on mice. Sleep, it seems, is too important to put off.